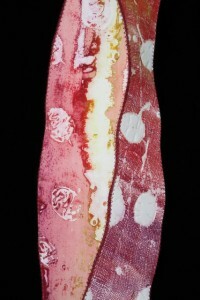 Working with fiber reactive dyes, we will layer resists to create complexity and depth of color on fabric. 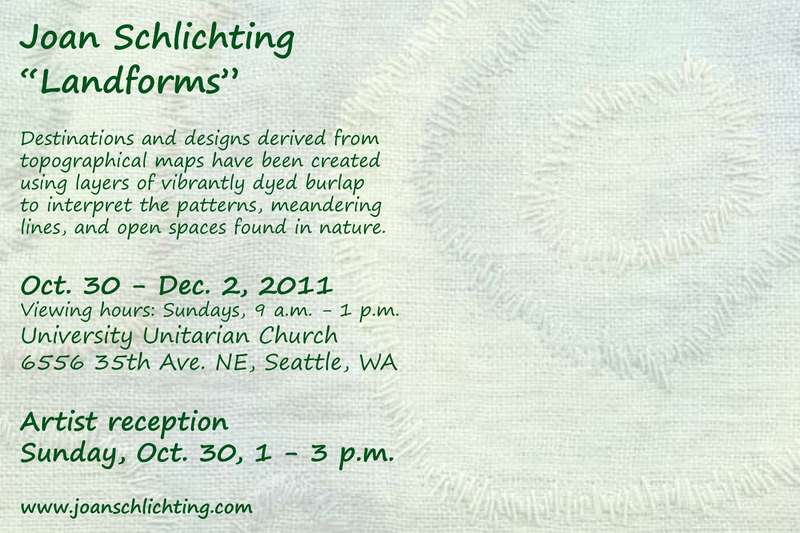 Shibori binding, organic pastes, and soy wax will be used, each method creating its own characteristic marks. Students will receive handouts covering dye chemistry and safe studio practices. 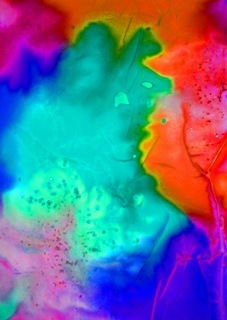 Techniques are easily grasped yet endlessly variable. This workshop emphasizes process and experimentation, learning to control technique while celebrating the happy accident. Cameron Anne Mason creates artwork that delves deeply into surface design technique, and brings that depth to her sculptural work. Inspired by nature and the touch of human hands upon it, Cameron’s art is a response to the world around through surface, form, and stitch. Cameron gets great satisfaction from sharing her knowledge with students young and old. 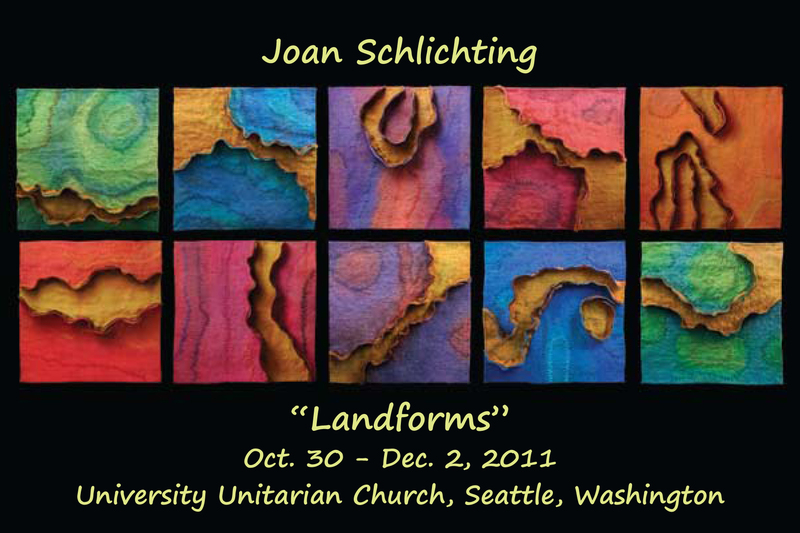 She shares her extensive research, studio technique, and a sense for exploration and experimentation with students. Cameron Anne Mason is represented by Foster/White Gallery and has shown widely with the Contemporary Quilt Art Association. Cameron was awarded the Audience Choice Award at the Rio Patchwork Design Show in Rio de Janeiro in 2010. Cameron is a member of Northwest Designer Craftsman, Surface Design Association, and the Contemporary Quilt Art Association. Class Fee: $185 Click here for supply list. Bellevue Arts Museum is launching the call for artists for the second edition of the BAM Biennial. 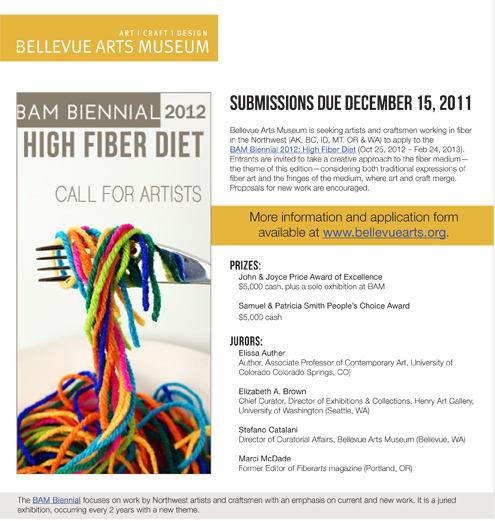 This year’s medium and theme is fiber, hence BAM Biennial 2012: High Fiber Diet. The Biennial is open to artists and makers from Washington, Oregon, Idaho, Montana, Alaska and British Columbia. In celebration of all the surface design techniques presented in the August/September 2011 issue of Quilting Arts, we thought it would be fun to host our first-ever fabric swap. 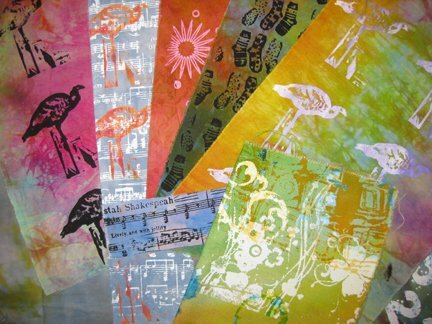 We invite you to get creative and pull out your dyes, paints, discharge pastes, stamps, stencils–you name it–and create your own set of four fat quarters to swap with someone else. Note: Your fabric must be free of any text or images that are protected by copyright, unless you have the expressed written permission from the person or institution that holds the copyright and you provide that written permission with your submission. Take a picture of your fabric, and print out a copy of the photo to include with your submission. On the back of the photo, please include your full name, mailing address, email address, and phone number. This information will be used for any questions we have about your submission and also to mail your fabric swatches to you. For safety, place your fabric in a plastic bag for shipping. Include an entry fee of $6 (U.S. and Canada) and $14 (all other international), to cover postage and handling. All funds must be in U.S. dollars and made payable to Interweave. Exchange participants, including international residents, may charge the entry fee to their credit card. We accept Visa, MasterCard, Discover, and American Express. Please include the necessary information, including the expiration date and CVV code with your entry. Your fabric must be in our offices by Monday, November 7, 2011. 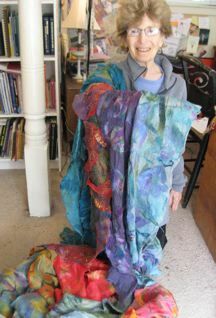 We will swap and mail the fabric no later than the week of January 16, 2012. Some of the fabric may be featured in an upcoming issue of Quilting Arts Magazine and/or on our website. If you have any questions, contact Ellen Seeburger at eseeburger@interweave.com. Note: By submitting your fabric to our challenge you are authorizing Interweave to publish your fabric in upcoming publications and promotional materials, on our website, and in other Interweave e-media. Interweave will not be held responsible for loss or damage due to circumstances beyond our control.